Statistical physics of many-body systems, developed over the last century, in the last three decades in particular, are now quite well established with impressive successes. Inspired by these successes in physics, major attempts have recently been made in extracting the statistical properties, network structures, and collective dynamics of various social systems. 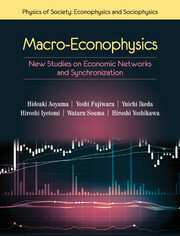 These include developing models of financial or market systems, correlations of various stock or commodity prices, their dynamics as well as their mapped structures, kinetic exchange models of market dynamics and of spontaneous opinion formations in societies and analysis of election results in these contexts, spin-glass or neural network-like modeling of social (collective and iterative) learning in sharing scarce resources in Minority Games, etc. These are some examples of extensively studied socio-dynamical model systems, with encouraging results. The research papers, specialized reviews and books which are available to date are mostly addressed to researchers.